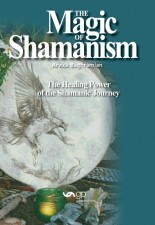 ‘The Magic of Shamanism’ in ‘Sexual and Relationship Therapy’. This article about Arvick Baghramian’s book ‘The Magic of Shamanism’, was published in the magazine ‘Sexual and Relationship Therapy’. The article was written by Rachel Phillips, Psychosexual Counsellor, Relate, Nottingham, UK.